-- Select a Size/Color -- 10" 12" - Out of Stock! 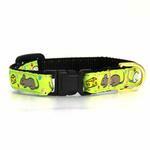 Our feline friends will have lots to purr about with Up Country’s stunning Say Cheese Cat Collar. Mice and cheese surround collar. Posted On 11/08/13 by Kimberly S from , Yes, Kimberly S recommends this product! 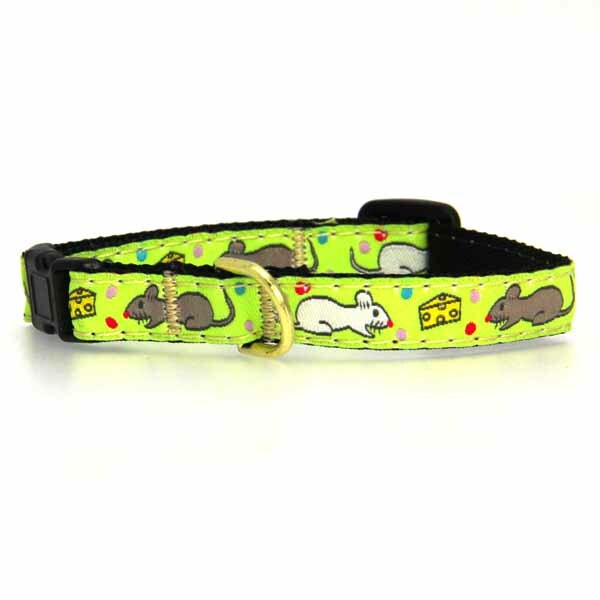 This collar is very well made and exactly as pictured. It shows up great on my gray cat and looks perfect with the mouse on his id tag. Would definately purchase again. I love Baxter Boo. So much fun to shop on line with them. Quality's great and the deals I find are better than those at discount and other retailers. I'm always getting compliments on my pets' clothing. Thanks for making it easy fun and economical to shop for Maggi and Luci! !